Villains in Gotham City shudder at the sight of a batarang, since it is always followed by the arrival of Batman himself! 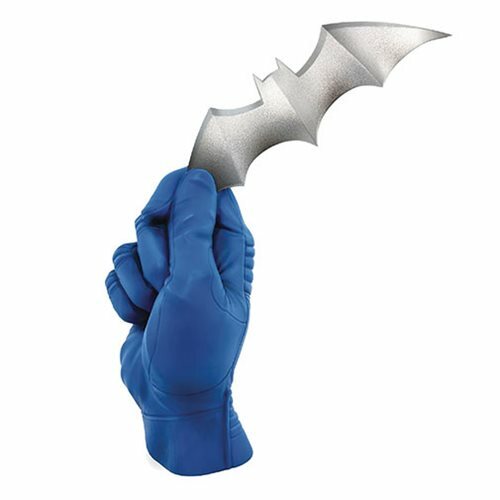 The latest in Cryptozoic's series of detailed, life-size hand statues features the Caped Crusader's gloved hand gripping his signature weapon. The statue measures an impressive 10" tall with the batarang equipped. This statue is cast in resin and is beautifully hand-painted and comes packaged in a full-color closed box.